Hinduism is a peaceful lifestyle based on faith, human values, inner consciousness, and Love. The relationship between Shiva and Parvati illustrates it. Shiva is the primary God in Santan Dharma known as Mahadev and Goddess Parvati is the consort of Mahadev, Shiva. Both Shiva and Parvati have immense love between them. It is the kind of love which is an exemplification of ideal love based on the faith, love and has purity in it. It is a relationship which will keep guiding new couples to their entire lives. In this post, we have shared the relationship between Shiva and Parvati in it's purest form. Before that let's understand the beauty of Shiva and Parvati relationship which defines both as an integral part of each other. Goddess was a princess, for getting married to Shiva, She did the hardest penance upon Shiva and liberated herself from all materialistic desires and impurities. She became the Sannyasin and gave up all royalties. Shiva is the supreme God of all three realms; He governs the process of creation, preservation, and destruction Whereas Goddess Parvati is the super strength of Shiva. She is Ardhagini of Shiva which means half Shiva herself. They have immense love in their relationship which is free from worldly disorders like Moh (passion), Maya (illusion). There are many forms of their love like Shiva is Adipurusha and Goddess is Prakriti (nature). Shiva and Parvati both loves to play the game of Chaucer (Game of board and dice) in which Shiva loves to get self-defeated for the sake of Goddess happiness. Despite being supreme Lord Shiva married Goddess Parvati with all the Vedic rituals. Goddess Parvati admires every quality of Shiva. Parvati and Shiva have a beautiful family which includes their sons like Lord Ganesha, Lord Kartikeya, and daughter Ashoksundari. Shiva is the head of their family and Parvati is their mother. This story will make you realize that Shiva's one is Bholenath. Once Shiva agreed to leave Kailash Parvat for the happiness of Goddess Parvati which stretched the forehead lines of demigods. It was the time of Shiva and Parvati wedding which took place in the palace of great mountain king Himavan and queen Meenawati who are parents of Goddess Parvati. In that grand wedding Narayana, Brahma, Demigods, sages, and the respectable guests were presented. It was a delightful and auspicious moment for Narayana and Brahma because Trinity / Trimurti was getting complete by this cosmic union of Mahadev , and world mother Parvati. On the other side, Trigoddess was also getting completed which includes Goddess Saraswati, Goddess Laxmi, and Goddess Parvati. Everything was going perfectly fine. It was the time after the initial event of the Barat in which Meenawati get shocked after viewing the appearance of the Shiva in the Barat. Himavan arranges distinctive rooms for Shiva and Vishnu, and Shiva decides to sit on padmasana and meditate. Demigods were resting in their respective rooms, and Sages like Narada and others were Chanting Om Namah Shivaya in the entire palace. Narayana and Brahma were ecstatic by this wedding of Shiva and Parvati. The time of Baraat departure comes; At the time of leaving her father's home, Parvati gets overwhelmed and starts weeping. She expresses her grief to Meenawati that this very moment is painful for every daughter when they leave their father's home to start a new family with her husband. Parvati expresses the sorrow of leaving her parents home with her mother and starts weeping. Few teardrops come out from the Parvati eyes. Shiva observes the suffering of Parvati. The greatest destroyer of the darkness, Shiva gets overwhelmed by seeing the tears of Parvati and opens his eye to come out of meditation. Nandi and Shivgans come to visit Shiva. They silently sit near the feet of Shiva, folding their hands. Nandi observes tears coming out of Shiva's eye. Nandi - "Prabhu, why there are tears in your eyes?" Shiva - "Nandi, right now your mother Parvati is in great grief of leaving her home." Nandi - "Prabhu, Mata ( mother ) will be fine soon." Shiva - "Nandi, If your mother Parvati could wait for me for many lives and still perform the hardest austerity upon me. Then why don't I let her live in her father's home, and make my abode here?" Nandi - "Prabhu, then where will me and other Shivgans live?" Shiva - "You are all dear to me, Nandi. Everyone will live here with me." The king of demigods Indra decides to meet Narayan regarding the new problem. Narayan welcomes all the deities. Narayan - " I already know why you all are here. I cannot directly interfere in it. Shiva is kind and compassionate from the heart. He cannot bear tears in Parvati's eye. We have to wait for Bhagwati to sort out the issue." Indra - "Yes Prabhu, Only Mother Parvati can make Lord Shiva realize the impact of his decision. " On the other Side, Himavan and Meenawati inform Parvati regarding the decision made by Shiva of leaving mount Kailash and staying in the Palace. Parvati explains to her parents that I know the marriage of a daughter is the luckiest day for every parent. When they give their daughter hands in the hand of her husband, it gives them supreme ecstasy and Moksha later. Himavan and Meenawati get delighted by Parvati's reply. Her Parents takes leave from Parvati's room. Parvati gets a moment to get connected to Maheswara Shiva. Parvati - "Swami, your love is the best part of my life; I know how much you love me. You are my pride; I m thankful for all your love. The only thing I want to tell you that you are too innocent, my Bhole Bhandari. I m coming to meet you in your room." Shiva - "All right, Gauri. " After that, she goes to Shiva's room and sees Shiva sitting in deep meditation. She slowly- slowly steps toward Shiva & views Shiva with lots of love in her eyes. Shiva opens his eyes and looks at Parvati. She was observing the charm of Shiva and reaches close to him. Shiva smiles and sees Parvati with the same love both Shiva and Parvati exchange the love through eyes. For a few moments, they keep looking at each other. After few moments Parvati holds the hand of Shiva and Shiva holds back Parvati's hands with lots of love and care. A breeze was flowing Shiva's matted hair beyond his shoulder. Parvati - "What are you seeing my Lord?" Shiva replies with a smile. Shiva - " I m getting nourished with the vibes of your Love Parvati ." Parvati gets delighted from Shiva's reply and gives her consent with a smile. Parvati - "appreciable my lord, but for fulfilling love one has to perform all worldly customs and rules ." Shiva - "For me, my definition of love belongs to you Parvati, For me, fulfilling of love means seeing your happiness." Parvati - "It is the reason for your decision my Lord." Shiva - "If you could get agree to leave your home and luxury for me. Then may I not stay here for your happiness, Parvati?" Parvati - "Kailash is my home, my lord. All luxury is useless if you are not with me. This wedding is the exemplification of the ideal wedding my Lord. Your decision will make an antagonistic effect on the rules of the wedding my lord and truth is that those tears are the paradigm of my parent's love that will help them to attain Moksha." Shiva - " Parvati, I never thought to stop, your parents from getting Moksha? I was completely unaware of those feelings which you made me realize now. You made me realize all those feeling Parvati. Please accept my gratitude." Parvati - "No my Mahadev, I admire your unconditional love for me. Now let's move to our home which is our Kailash." After that Shiva announces his return to Mount Kailash with Goddess Parvati as divine couple Shiva Parvati. Everyone gets delighted. Narayan smiles and speaks to Goddess Laxmi. Narayan - "Prabhu is ready to return Kailash, Priyay." Laxmi -"Swami, Now trinity of the goddess will also get completed." Narayan speaks in the heart. Narayan -"Welcome to the household, Swami. I was waiting for the moment." Shiva speaks from his room. Shiva- " My Narayan, I m grateful to you for everything. " 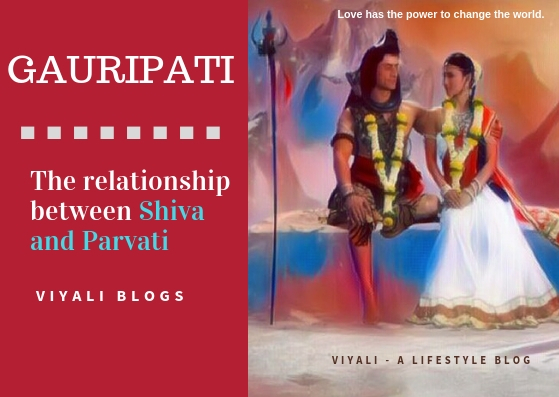 In this post, we have shared the relationship between Shiva and Parvati.